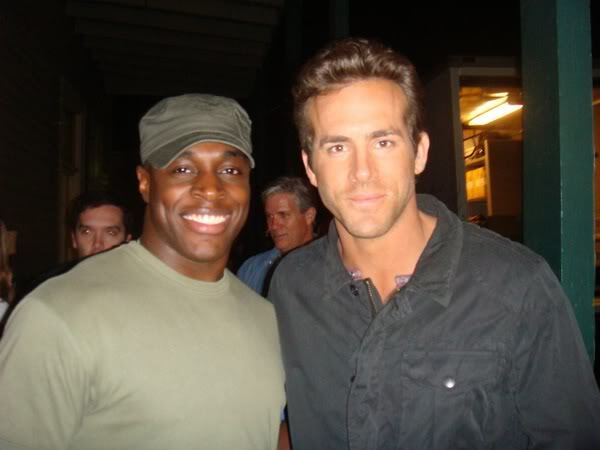 Rumors abound this year after a certain photo was circulated on the net, which features movie star Ryan Reynolds who plays Hal Jordan in the upcoming 2011 Green Lantern Movie and actor Nick Jones. Now sure he could just be a random extra BUT he was even at comicon along with the rest of the crew and is in discussions with D.C comics for an ‘unspecified’ project. If anything he’ll be in a reenactment of a scene from Geoff John’s secret origins retelling of Hal’s early days and a bar scuffle between John and Hal will ensue. Here’s hoping he is John since that would spell a heroic turn for another black superhero similar to Iron Man 2’s War Machine! 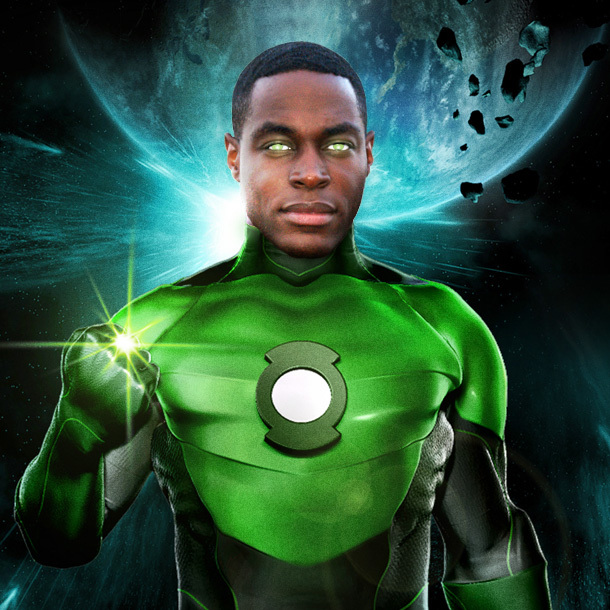 And if the possibility of seeing one of the oldest Black Superheroes on film doesn’t excite you, here’s the trailer of the Green Lantern Movie!!! Now Picture John as the lead and we are cooking! Find out who John Stewart is here. ← Young Justice Episode 1: Independence Day shows Aqualad leading!!! This movie is becoming one of the more highly anticipated movies to come out this year how ever I’ve very cautious about how the fans of Green Lantern will react. 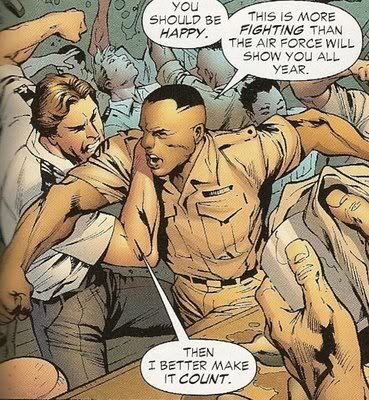 Of all the superheros I used to read and watch I never seen much of Green Lantern so I cant compare changes. However the movie looks good on trailer just like Superman and X-men (Origins) did and they were busts; but the bright side is many newer superhero movies have had great reviews in the last year and a half.